Excipients are binders, fillers and “glues” that are typically non-nutritive substances in nutritional products. Would you want to consume anything that is not nutritive? 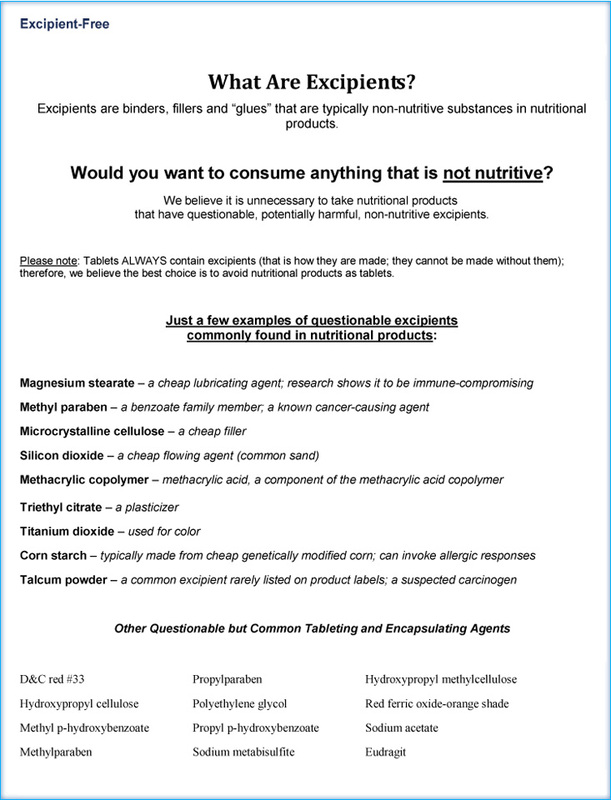 that have questionable, potentially harmful, non-nutritive excipients. Please note: Tablets ALWAYS contain excipients (that is how they are made; they cannot be made without them); therefore, we believe the best choice is to avoid nutritional products as tablets.